This is a dynamic opportunity to bring a non-believer to this astonishing movie based on the true story of a teenager faced with incredible odds! Tickets on sale now in the LE Atrium while supplies last! $10/Ticket (Only sold before and after worship services). The movie is rated PG. Please be sure to check the reviews before purchasing tickets to ensure the movie is appropriate for your child. 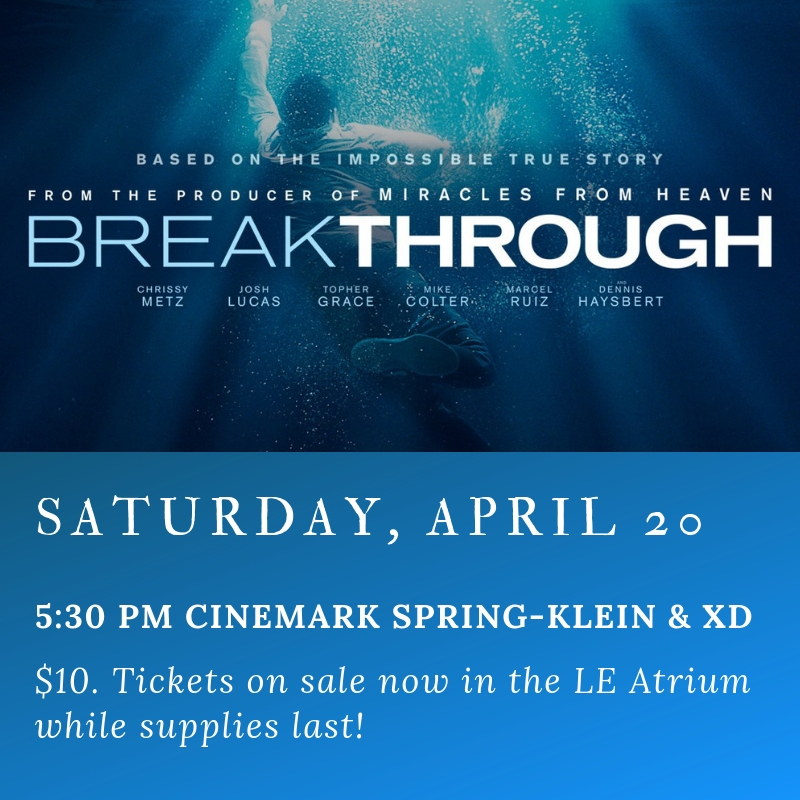 BREAKTHROUGH is based on a true story of one mother’s unfaltering love in the face of impossible odds. When Joyce Smith’s adopted son John falls through an icy Missouri lake, all hope seems lost. But as John lies lifeless, Joyce refuses to give up. Her steadfast belief inspires those around her to continue to pray for John’s recovery, even in the face of every case history and scientific prediction.